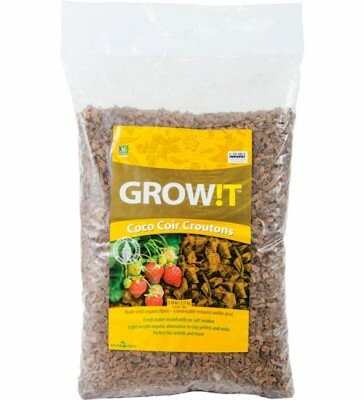 Made with organic coconut fibers, Grow !t Coco Coir Croutons are a lightweight alternative to clay pellets and rocks. 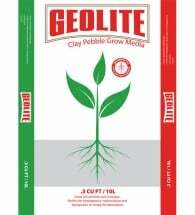 Their porous structure allows easy root penetration, yet keeps its shape even when wetted up. Fresh water rinsed with no salt residue. 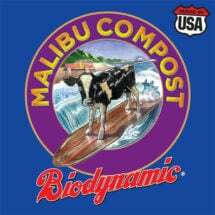 Includes naturally occurring Trichoderma (found to biologically control certain root rots). Perfect for orchids. OMRI Listed for use in organic production. 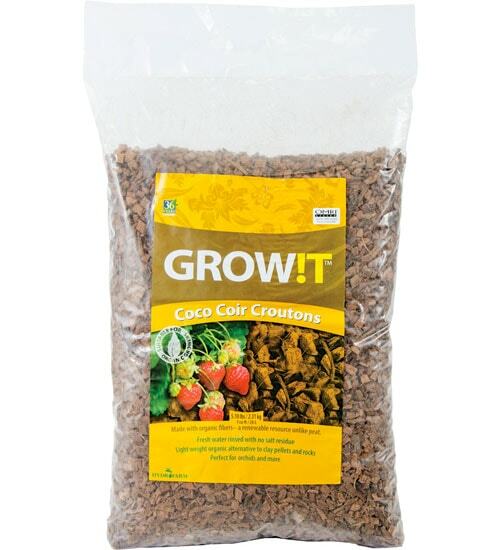 Wet and simply plant directly into it, or mix with other media to improve aeration and drainage. 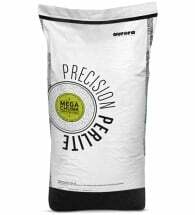 Each 25 liter bag fills approximately 10 1-gallon round nursery pots. 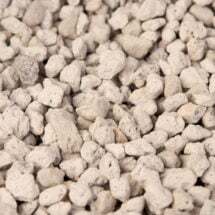 The exact same product as Foxfarm's Big & Chunky perlite — only cheaper! Allows for excellent drainage and aeration while providing a stable foundation.